After an impromptu bus ride back from the floating market we found ourselves in search of Prada (like you do). 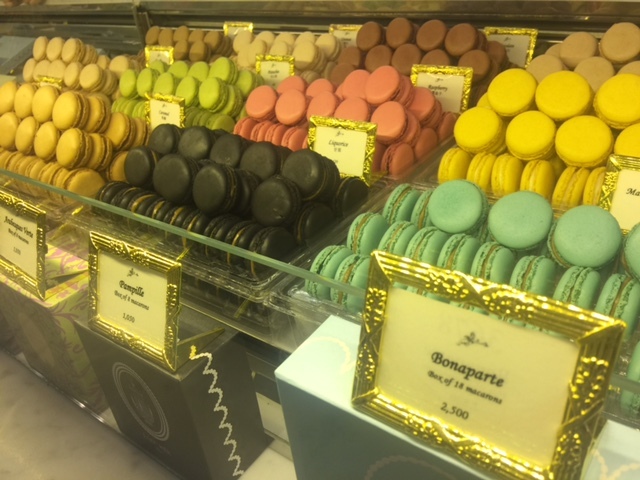 As we went up the escalator at the Siam Paragon, the smell of something familiar caught my attention. 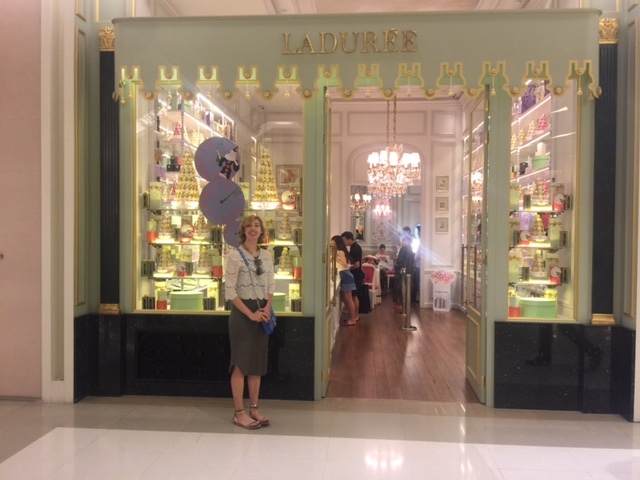 Laduree! 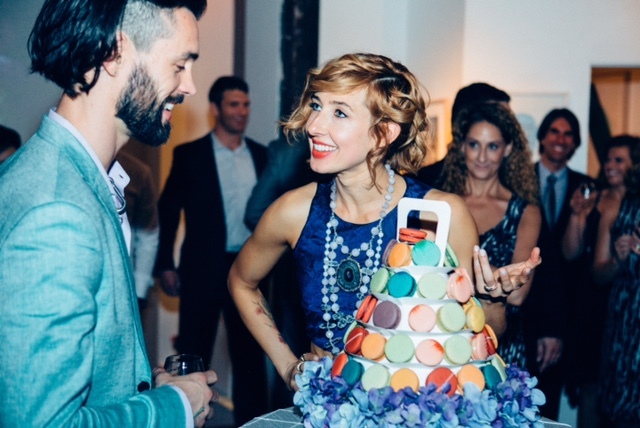 If you recall, our wedding cake was French Macarons. So, in honor of our wedding we stopped in and each got one. Then we reenacted our “cake moment” right there in the shop. After our delicious memory, we were off to shop. This may come to a total surprise to anyone who knows me, but after several malls we left empty handed and enjoyed another foot massage. We fell in love with Tri and Au the night before at Diora and we went back for more. They did not disappoint. 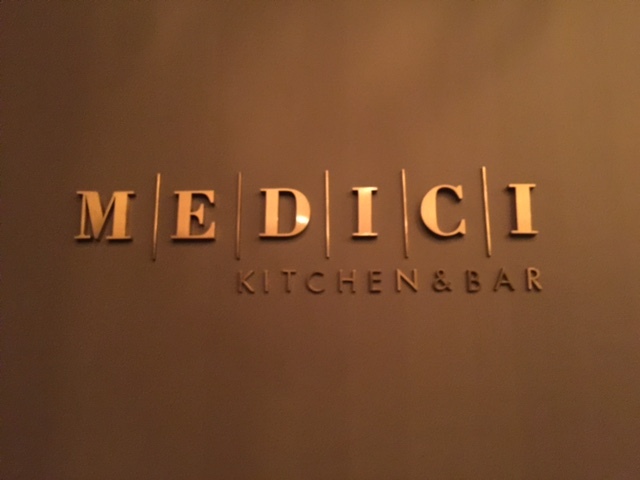 Then it was off to dinner at Medici. The manager, Benz, had reserved the best table they had for us, so we could enjoy live opera during our dinner. Avocado, shrimp and so much more. 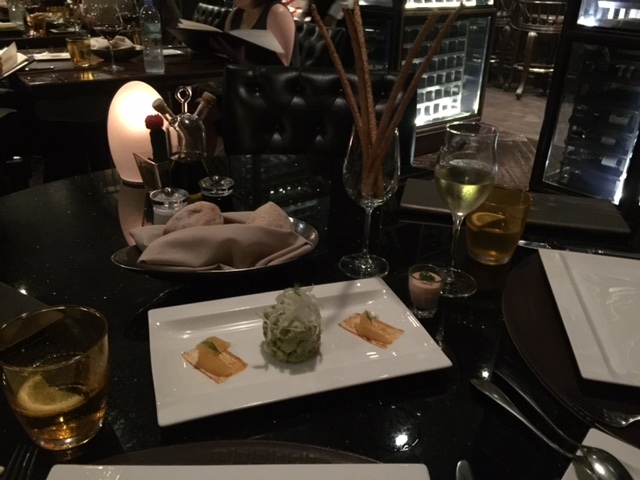 The live opera and wonderful staff at Medici set the stage for a lovely dinner for the two of us. 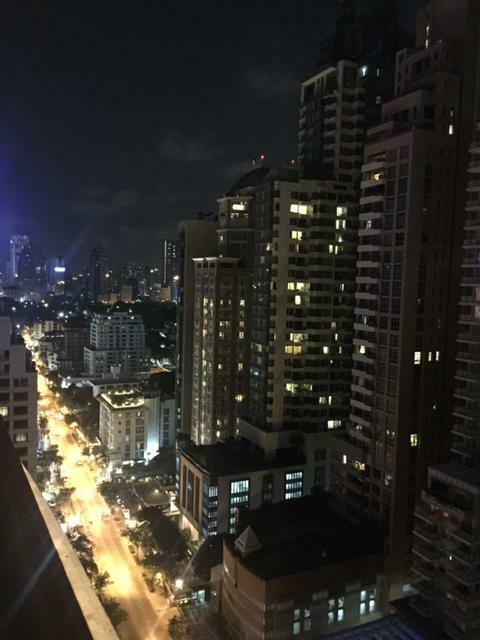 Our last night here in Bangkok (this year). After the Chef made me a special gluten and dairy free dinner, we rolled Brad up the stairs and too the roof top bar: The Speakeasy. The wind was only 7 mph but it was noticeable. However, Bangkok’s wind is nothing like LA. No jackets needed. With 82% humidity and 90 degree temps at 11pm we enjoyed a night cap and it was off to bed. More Bangkok adventures in the morning and then off to Cambodia!